Court • Activist takes on alliance over his use of Great Salt Lakekeeper name. Tribune file photo Bobby Kennedy, right, son of the late Sen. Robert F. Kennedy, is chairman of the international Waterkeeper Alliance. He is shown here touring the Ogden River during a 2007 tour. 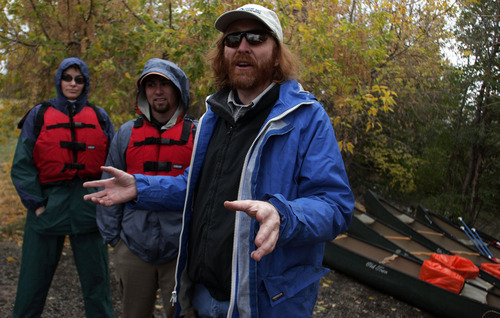 Gadi Leshem, left, is an investor in the Ogden Riverfront Development Co. Tribune file photo Bobby Kennedy, chairman of the international Waterkeeper Alliance, toured restoration efforts on the Ogden River in 2007. 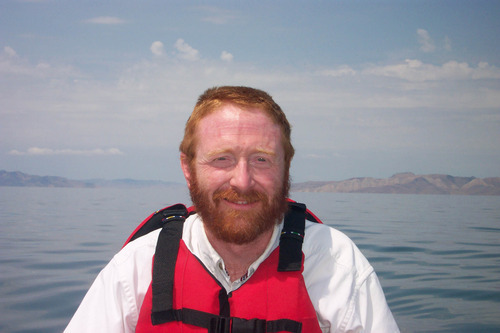 Tribune file photo Jeff Salt, Great Salt Lakekeeper, is shown canoeing on the Great Salt Lake in 2003. Tribune file photo Jeff Salt explains the directions downstream to volunteers who were helping clean up the Jordan River in a 2005 project sponsored by the Great Salt Lakekeeper. Now, with the help of one of Houston's most prominent business law firms, he's taking on Kennedy's Waterkeeper Alliance directly in a countersuit, claiming it has no right to stop him from calling himself the Great Salt Lakekeeper. Instead it focuses on the use of a trademark, the "keeper" name that is associated with the alliance's 190 environmental groups around the world that use the terms "riverkeeper," "baykeeper" and the like to broadcast their relationship to the alliance. Ever since Salt, best known for his efforts on mercury and the Jordan River, was charged in a domestic violence case 33 months ago, the environmental network has tried to stop Salt from using the lakekeeper name to protect its brand. 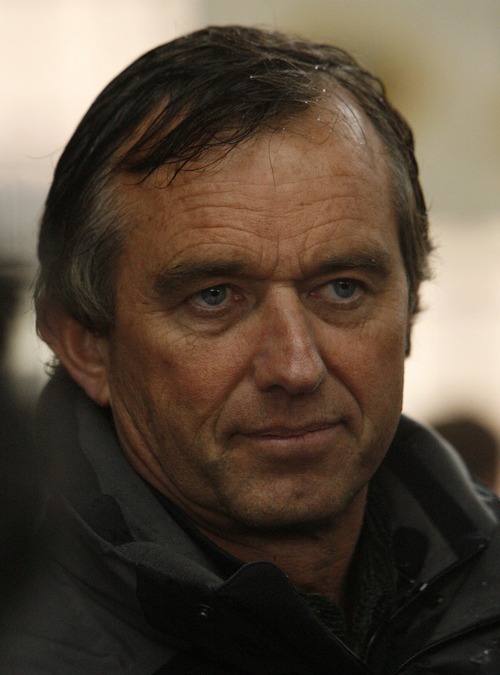 Kennedy said during a 2009 visit to Utah that the group was in search of a new Great Salt Lakekeeper. A selection has never been completed. The alliance's advocacy director, Scott Edwards, said the alliance severed its agreement with Salt to use the trademark name in the fall of 2008, but the Utah activist ignored the alliance's repeated requests. The organization filed suit in February 2010 in a New York federal court. "Our ultimate goal," said Edwards, "is just that Jeff stop using the Lakekeeper name." The reason? Court papers said Salt, who had paid licensing fees to use the name for several years, failed to meet six of 13 quality standards that all 190 waterkeeper organizations agree to, such as maintaining a nonprofit status and using generally accepted accounting practices. And "Quality Standard 13" requires trademark licensees to "maintain a high level of integrity and avoid conduct (financial or otherwise) that is improper or creates the appearance of impropriety (financial or otherwise) or injures the reputation" of the name-user or the alliance. Court papers filed by Salt's lawyers said this propriety standard is what an alliance attorney cited when he told Salt in December 2008 that the board had revoked his license to use the trademark. The alliance said Salt "could never comply with that standard … in view of Mr. Salt's personal legal matter," according to Salt's attorney. Salt, 51, faces a May 25 trial on three charges, including first-degree felony aggravated kidnapping and second-degree felony aggravated assault, after he allegedly beat his ex-girlfriend with a piece of pottery and a metal bar. The woman was treated at a hospital for scalp lacerations  which required 65 staples in her head  a cut on her face, bruises on her neck and two fractured vertebrae in her back, according to preliminary hearing testimony. "He has left us no choice," Edwards said, saying the alliance is determined to protect its good name. "If you have a trademark and you don't protect it, you run the risk of losing it." Salt did not respond to requests for comment. And Karla Rachelle Goldman, an attorney with the Fulbright & Jaworski law firm representing Salt, said in an email: "We believe the public filings can speak for themselves." In those court papers, Salt contends that the Waterkeeper Alliance does not hold the rights to the Great Salt Lakekeeper or Lakekeeper names and that Salt was never sent a licensing agreement showing the propriety standard. Nor did Salt realize, the court papers say, that the alliance "never owned rights" in the lakekeeper name. In his counterclaim, Salt says he had used the name with the alliance's "knowledge and acquiescence, but not control." The claims that Salt made against the alliance include those that the alliance committed trademark fraud, misrepresented its ownership of the name, breached its contract with Salt and others. There has been no action in the trademark case since January. And no proceedings are currently scheduled. Jeffrey Charles Salt is scheduled for trial on May 25 before 3rd District Judge Denise Lindberg. He faces up to life in prison if convicted of the kidnapping charge. The court case has progressed slowly, in part, because Salt has changed attorneys three times.